When you’re working in a creative industry sometimes there’s only so much you can teach yourself. When you’re trying to get to the next level, you want to learn from someone who has already been there and done it. In short, you want to know how the pros do what they do. Charles Kirkpatrick had started off teaching himself. Flying solo, he was able to learn the basics of working in various DAWS like Logic Pro and GarageBand. Learning came through experimentation, trial and error, and through watching online tutorials. However, Charles soon found he wanted more. He wanted someone with the experience and expertise it would take to tell him when he was doing something the wrong way. He wanted the tricks of the trade and perspective one gets from doing the work with someone more knowledgable than yourself. In short, he wanted a mentor. 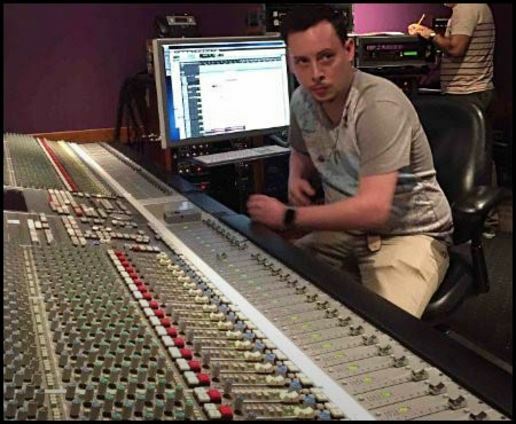 Besides the one-on-one learning, Charles discovered the benefits that come from being in a real recording studio in which working pros are constantly coming and going. This may seem like a slightly inconsequential idea to some, but for someone who is attempting to break into the industry, it can be the lifeblood of their future career. They are able to talk to, connect with, and network with people from all walks of the industry. Sometimes these connections are just fleeting friendships. Sometimes they’re relationships that lead to other friendships that lead to paid gigs. And, they launch careers. Based off of those calls, Charles landed a gig with Reelsound Recording, the company that manages the sound for the world-famous Austin City Limits television series and festival. Before he knew it Charles was working with acts like Florence and the Machine, The Black Keys, The Roots, Iggy Pop and the Stooges, Red Hot Chili Peppers, and Neil Young. Work hard. Work smart and it will happen! Keep going Charles. San Antonio, watch out!